Your customers expect your business to quickly answer their questions, solve their problems, or resolve their complaints, which makes perfect sense. We live in a sea of constant communication. Whether we’re at home or work, in our car or office, on our phone, tablet, or computer, we’re bombarded with emails, texts, or push notifications from one of our apps vying for our attention. From meeting face-to-face and writing letters to sending emails and text messages, the transition to instant communication has influenced how long we’re willing to wait for a response. Practically speaking, the speed at which you respond to your customers will make or break your business. Did you see a common theme? People don’t like to wait for a response — especially if they’re interested in doing business with you. How quickly you respond to a lead will significantly influence whether or not they’ll become your customer. You can wait for someone to send you an email, reach out to you through social media, or give you a call. Or you can proactively connect with leads online the moment they’re experiencing an interest in what you have to offer, which is part of the magic of live chat. Let me explain. What if you could have a real-time conversation with someone visiting your business online? Would this influence your ability to make a sale? I bet it would. When someone browses specific pages of your digital storefront, they are expressing some level of interest in what you have to offer. But they might not be ready to make a purchase. 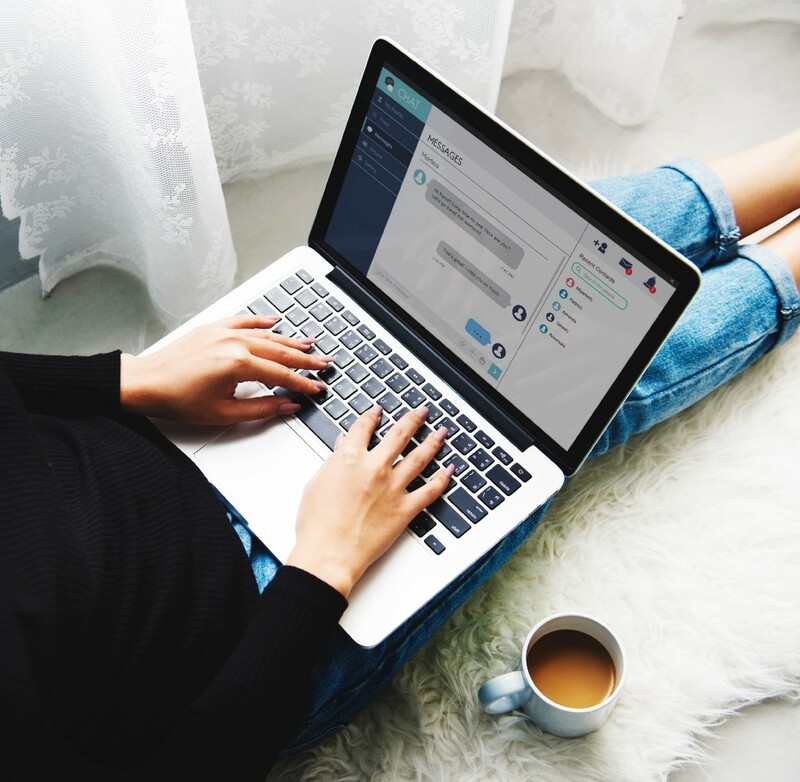 By adding live chat to your website, you can initiate conversations with people at the most opportune time — when they’re considering your offers. This is like having a face-to-face conversation with someone if they visited your storefront (assuming you have one), reached out to you on a messaging app, or gave you a call. For Tithe.ly, adding Intercom’s live chat feature to our site in December 2017 has allowed us to have hundreds of conversations with leads and significantly increase our conversion rate. At first, when we added live chat, we knew it would make a significant difference in our ability to provide world class customer service and close leads. But we had no idea adding this service would have boosted our sales as much as it has. Every page on your site has a purpose. From creating awareness, providing leads with information, to compelling someone to make a purchase, every page on your site should have a goal. These three pages are the most significant pages we have in our sales funnel. All three of them play a unique role in compelling someone to sign up for an account. Regarding our Checkout Page, this is the ultimate page on our site when it comes to sales. If this page doesn’t convert well, then it doesn’t really matter how much traffic we drive to this location. It would be like running water through a leaky pipe. Nothing’s going to get through. After we identified the core pages of our sales process, we then set out to create the right messages at the right time. On all three of our core pages, we want to be proactive in engaging leads with the right message at the right time. If you own a business with a storefront, when you have a lead enter your store, you can engage him or her in a conversation. You can answer their questions, and compel them to make a purchase. Ignoring someone who enters your store can be deadly for your sales. Now, if someone expresses interest in your services online, you now can proactively engage them in a conversation with live chat. Having the ability to start a conversation online with someone who is visiting one of our core pages has placed our team in a better position to compel him or her to become a customer. Let me show you how we engage customers on these three different pages. On our FAQ page, visitors are exploring answers to their questions and gathering other pertinent info to share with their decision makers. With this message, our primary goal is to provide answers someone can’t find and to give the option for visitors who’d instead talk with someone in real-time. At this moment, we’re not concerned with leading someone to sign up for our services. However, whoever interacts with us at this stage, we will nurture this person toward becoming a customer. As for our Pricing Page, our visitors usually are in the info gathering phase of their journey. They may have read a post about tithing in the Bible or online giving or explored our FAQ page, and now they’re doing the math. Like someone visiting our FAQ page, our primary goal isn’t to close a sale. Instead, we want to provide support, answer questions, or resolve any problems. As I mentioned before, our Sales Page is arguably the most important page on our site. Due to the nature of our business (payment processing), we have a 5-step process users need to take to create an account. From providing their contact information to their banking account, there are big hurdles we need to help customers cross to finalize this process. From the data we’ve collected, we identified one step in the sequence of our Sales Page that gives people the biggest headaches. To help leads overcome the hurdles they face, we’ve added a unique message at this step to talk leads off of the proverbial ledge of not doing business with us. For this step, there’s a good chance someone may have clicked on the “Sign Up Free” button without knowing what they were signing up for. For the most part, this group of people tends to bounce off of the page in seconds. However, if someone has lingered on this page for a short period of time, then there’s a good chance they’re interested in our services. But they need an answer to a question before moving forward. Regardless if someone is visiting your storefront, browsing your online store, or exploring mobile giving, when they have a question, they’d like to have it answered as soon as possible. They don’t want to wait a few hours. They’d rather talk with someone face-to-face or in real-time online. Before adding live chat, we were unable to have conversations with people at this step. We just looked at the analytics, made regular tweaks, and hoped leads would complete the process. However, that’s not the case today. We’re able to proactively start conversations with people at a crucial time for them and us. In your business, you have to be ready to respond to your customers. Can people call you? Then answer your phone. Do you have a presence on social media? You better keep an eye on comments or questions. Can people email you? Make sure you have someone monitoring your inbox. Do you provide live chat support on your website? Be ready to answer questions. According to one study, businesses do not answer 21% of live chat questions the receive. I understand there’s somewhat of a disconnect between talking to someone online versus face-to-face. But ignoring live chat questions is just as detrimental as ignoring someone in person. To help your business appear live online, you can leverage automated responses. Over time, you’ll identify common questions that you can prepare automated responses for. But automation can only take you so far. You’ll need to get your team ready to support your live chat. The first decision the company made was to move one of our giving specialists into a dedicated role supporting live chat. When interacting with leads, this team member will answer initial questions. But their primary goal is to get a new lead on the phone with a member of our sales team, who we call giving specialists. There are times when live chat can turn into a cocktail party where you’re the center of attention. Having the ability to quickly (and correctly) respond to people is a must. With Intercom, our team continues to build a robust Knowledge Base. With this resource, customers can not only help themselves, but we can also assist leads with relevant resources and automate responses with a bot to make sure we swiftly answer their questions. Responding to leads visiting your site with the right message at the right time is key to boosting your conversion rates. For us, if we didn’t add a live chat service to our site, we would have missed out on thousands of conversations and hundreds of new customers. Have you added live chat as a part of your digital marketing strategy? I imagine the answer to this question is worth talking about with your team. Jesse Wisnewski is the senior content marketer at Tithe.ly. Jesse is also the founder of Stillhouse Marketing, a content marketing agency in Nashville. He lives outside of Nashville, TN with his wife and kids. How Tithe.ly’s Conversion Rate Skyrocketed 155% Month-Over-Month with Live Chat was originally published in Marketing And Growth Hacking on Medium, where people are continuing the conversation by highlighting and responding to this story.